Limited VPK Openings. Please Reserve Your Spot Today! Caring, Nurturing, Sensitive educators. All our staff members are CPR and First Aid Certified. Free VPK or Full day option. Organized and design to develop each child’s ability to progress cognitively, socially, emotionally, physically, in an appropriate setting. Breakfast, lunch and afternoon snack are included at no additional cost to you! The classroom space is divided into aged groups and each class is design to protect Children’s health and safety and supports learning and development. The outdoor spaces are separated by aged groups and support gross motor development and safety. is your child’s place to learn and grow. We are a state-licensed daycare center and an accredited preschool that offers services from 6:30 a.m. to 6 p.m., Monday through Friday. 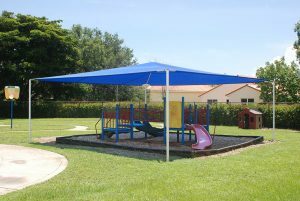 Our large and beautiful shaded child care center is situated right next to Manatee Elementary school at the Lake Charleston Community in Lake Worth, Florida. 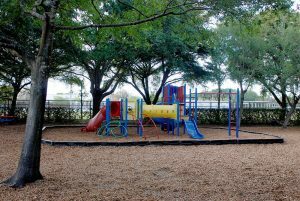 We also serve the areas of Boynton Beach, Green Acres, and Wellington. Kidstown Learning Center is an affordable daycare that provides early childhood education in a nurturing environment that acknowledges cultural diversity. We offer preschool programs from six-weeks old to 5 years old, free voluntary pre-K (VPK), before and after school care programs, winter, spring and summer break camps, and more. All of our full day programs include breakfast, lunch and afternoon snack to promote nutrition and healthy learning. Each classroom environment is prepared as a teaching strategy to make the learning process exciting, interesting, fun, and interactive. Our lovely and spacious playground area is equipped with sturdy play equipment which is developmentally appropriate for each group age. Kidstown Learning Center is an accredited child care center and voluntarily participates in Early Childhood Programs of Quality. It’s currently accredited by the National Early Childhood Program Accreditation (NECPA), bringing a new standard of excellence in childcare and early child care education in Lake Worth. 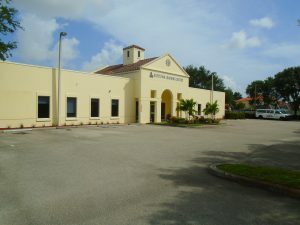 Kidstown Learning Center has recently been awarded the Florida Gold Seal of Quality. We feature a low teacher to student ratio that allows teachers to focus on the individual learning styles and needs of each individual child in our center. We at Kidstown Learning Center know how important it is to have your child in a safe and clean daycare. That’s why our trained and knowledgeable professional staff constantly works to keep a clean and safe environment for the children. We also have a security access code only given to parents for protection and security of our children. All of these aim to give you a peace of mind in knowing what to expect from us. Ready to get started? Contact our Lake Worth learning center today to book a tour.